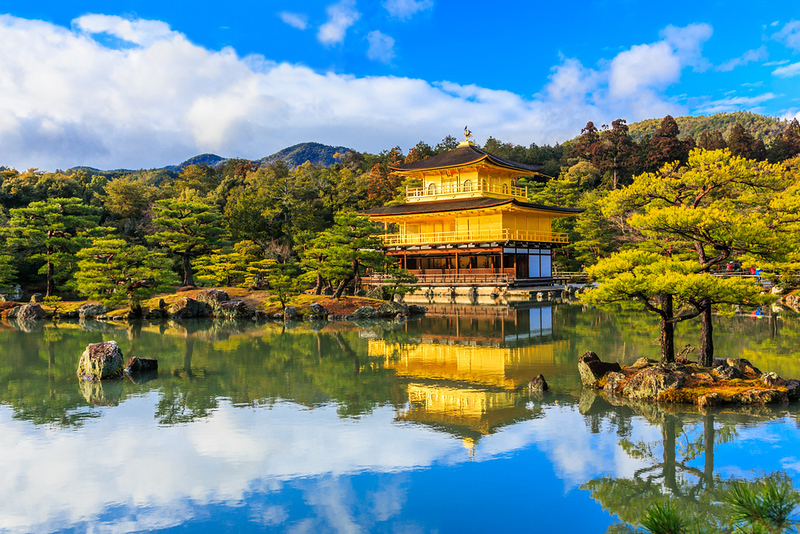 The Northwest Kyoto Area is a bit of a hike from downtown or the station, but it contains several of Kyoto’s most important sights like Kinkaku-ji Temple (the Golden Pavilion), Ryoan-ji Temple (with its famous rock garden) and Myoshin-ji Temple. The Northwest Kyoto Area encompasses a large swath of the city north of Imadegawa-dori and west of Senbon-dori, bounded on the west by the mountains that rise in the north and west of the city. Buses, taxis or bicycles are the best way to explore this area. Camellia Garden is the most beautiful easily accessible tea ceremony venue in Kyoto. This is a super place to experience the Japanese tea ceremony. Tea Ceremony KOTO is a great place to try a traditional Japanese tea ceremony when in Northwest Kyoto.